Community members from across the College of Agriculture and Life Sciences gathered with friends and family Nov. 5 to celebrate the 15th annual Research, Extension and Staff Awards. 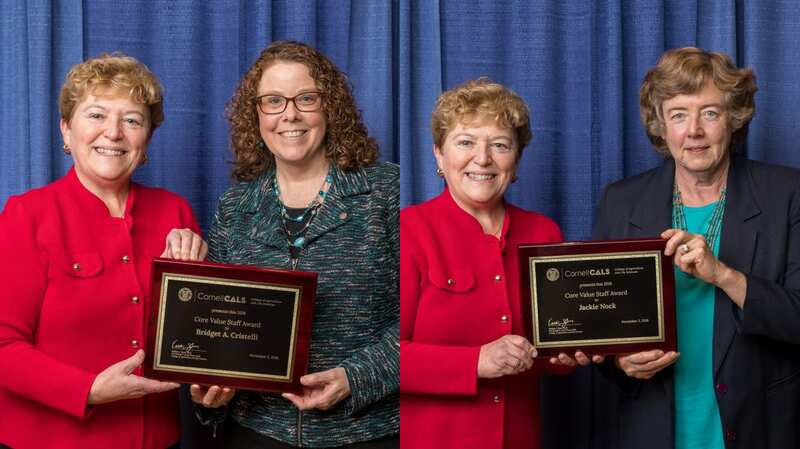 The awards observe important and far-reaching achievements of CALS faculty and staff, who are nominated for continuously surpassing expectations and making significant, unique contributions to the college. “I am awestruck by the important and far-reaching achievements of our colleagues across the College of Agriculture and Life Sciences,” said Kathryn J. Boor ’80, the Ronald P. Lynch Dean of CALS. “Tonight’s honorees contribute to the life-changing work of CALS. Their research and extension activities epitomize the Land Grant mission of Cornell CALS — which is to be fundamentally invested in improving the lives of people, their environments and their communities in New York and around the world. 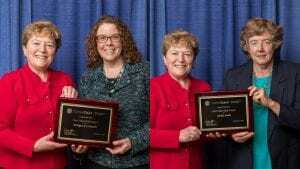 Read more about why Jackie and Bridget were honored. Other familiar faces to the Horticulture Section were also honored: Christy Hoepting, Cornell Cooperative Extension Regional Agriculture Team, Sarah Pethybridge, assistant professor in the Plant Pathology and Plant-Microbe Biology Section, and Tara Reed, School of Integrative Plant Science. 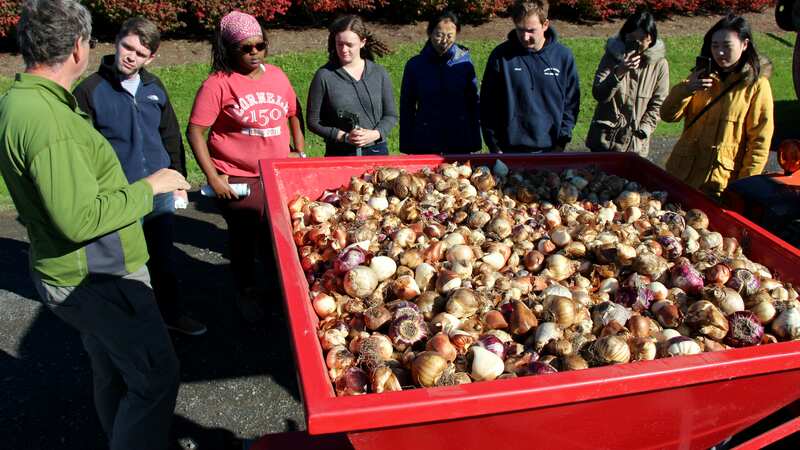 If you missed Monday’s Horticulture Section seminar, The Challenges of Farming in New York City with Yolanda Gonzalez and Sam Anderson, Cornell Cooperative Extension, it is available online. 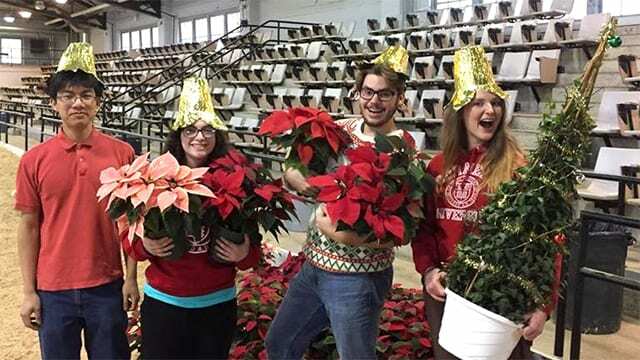 If you missed Monday’s Horticulture Section seminar, Hands-on Learning in Horticulture with Jacqueline Ricotta, Delaware Valley University, it is available online.